Arts for Colorado introduces a new logo! Save the Date! Arts for Colorado Arts Advocacy Day March 2nd, 2016! Save the date for Arts for Colorado’s annual Arts Advocacy Day on March 2nd, 2016 at First Baptist Church! More information on the day’s agenda coming soon! 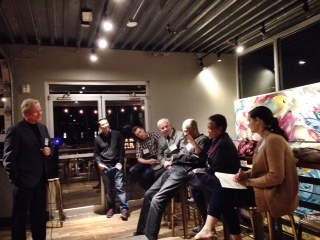 On Tuesday, December 8th, 2015, Arts for Colorado invited art advocates to attend a cocktail hour at Los Chingones to hear Craig Watson of California Arts Council to speak about the mission, vision and values of the California Arts Council and the arts advocacy success in the state of California. Craig Watson led the effort to revitalize the relationship of the California Arts Council with the state legislature and California Governor Jerry Brown. Through his efforts and his effective collaborations with others, Watson has rebuilt the agency budget and cultivated an expanded group of dedicated legislative arts advocates. If you weren’t able to make it, please visit these links to learn more about what Craig shared with the group. 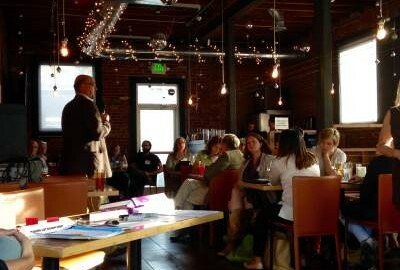 Be on the lookout for more events from Arts for Colorado with other industry professionals! Join Arts for Colorado and Craig Watson of California Arts Council for a cocktail hour at Los Chingones. Craig Watson led the effort to revitalize the relationship of the California Arts Council with the state legislature and California Governor Jerry Brown. 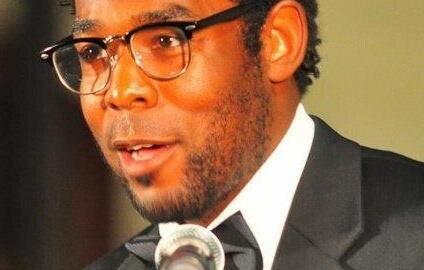 Through his efforts and his effective collaborations with others, Watson has rebuilt the agency budget and cultivated an expanded group of dedicated legislative arts advocates. In his presentation, Watson will detail how he planned and executed the strategy that resulted in this significant success. 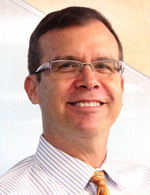 Craig Watson will be speaking about the mission, vision and values of the California Arts Council and the arts advocacy success in the state of California. Attendees will receive two free drink tickets for beer or wine. This event is free, but please RSVP as space is limited! For more information on the California Arts Council, visit here. On Monday September 21st, 2015, Arts for Colorado invited art advocates to attend a cocktail hour at The District to hear Matt Wilson of MASSCreative speak on the arts and creative economy in Massachusetts. Join Arts for Colorado and Matt Wilson of MASSCreative for a cocktail hour at The District. MASSCreative works with creative leaders, working artists, arts educators and arts and cultural supporters to empower creative organization and the public with a powerful voice to advocate for the resources and attention necessary to build vibrant, connected, and creative communities. Matt Wilson will speak on how arts and creative economy advocates organized and succeeded in securing new resources for the arts and creative economy in Massachusetts. A short Q&A will follow. The Deeply Co is a traveling music and art show featuring local artists in every city the event comes to and is hosted by singer-songwriter Jillian Edwards. On July 22nd, the show settled on a private rooftop and penthouse in the Capitol Hill area of Denver, CO. Janae, the WESTAF/AFC representative, was offered the opportunity to attend the night and observe one of the many creative events passing through the city. The intimate evening had food and drinks, laughter and chatter, music and art, and two dogs who made many new friends from the audience. One could look around and see the crowd was mixed with friends of the host, fans of Jillian and strangers who just wanted to be a part of the night. It was the perfect example of how art can bring a community together. John Epps is an Arts for Colorado member residing in Denver, CO. I just completed my 30th year in arts education in Colorado. I began as a K-12 music teacher in Calhan, then for 18 years in the Falcon School District teaching different combinations of middle school and high school choir, band and drama. The last 10 years I have done district arts coordination for Douglas County Schools and Denver Public Schools. I will be teaching vocal music at Hamilton Middle School in Denver this upcoming school year. How did you find yourself in the arts? I started band in 5th grade, and later took piano lessons, sang with the choir and performed in musicals. I have been blessed with supportive parents who encouraged my varied musical interests. I knew as a high school music student that I wanted to make music my life’s work. I worked with my peers and younger students discovering that I could share my passion for music.